Creamy Garlic Chicken with Mushrooms, pressure cooked in an Instant Pot. Juicy, tender and moist chicken thighs that fall off the bones. 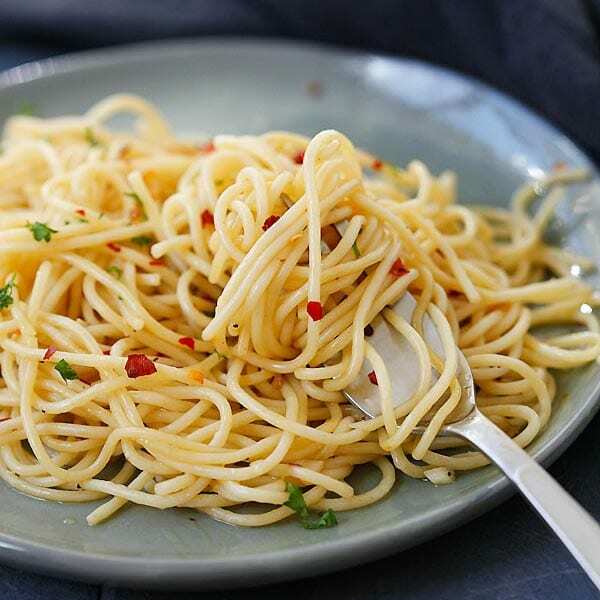 Serve with spaghetti for a delicious weeknight dinner. Garlic chicken with mushroom in a creamy sauce. This Instant Pot dinner recipe is so easy, fuss-free and perfect for dinner tonight. The creamy sauce is so delicious with rice or pasta, or you can just serve the chicken on its own, with a side dish such as roasted potatoes. Little G loves chicken made with cream and he loves mushrooms. 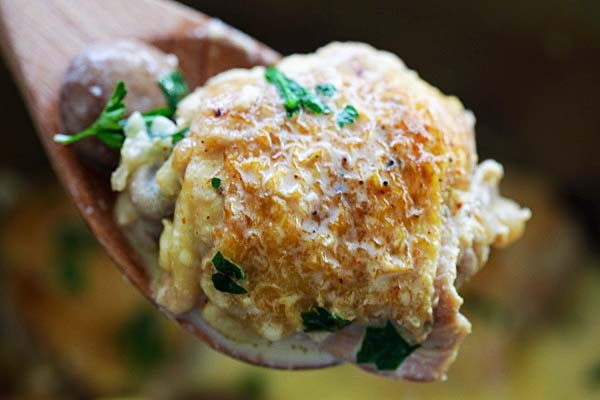 I made this lightened up creamy garlic mushroom chicken using my Instant Pot. I absolutely loved the flavors; the chicken thighs were so tender and soft. The Cremini mushrooms (you can use white mushrooms) adds a nice earthy note to this recipe. This is one of the most basic sauces. Saute the garlic with olive oil and add chicken stock, whipping cream, salt and lemon juice. I chose whipping cream instead of heavy whipping cream so the sauce is not too rich and lower in calorie. I also love my sauce with a bit of heat so I always add a few dashes of cayenne pepper. I used Instant Pot to make this recipe. First I sauteed the chicken in the pot and then I cook it on high pressure for 10 minutes. 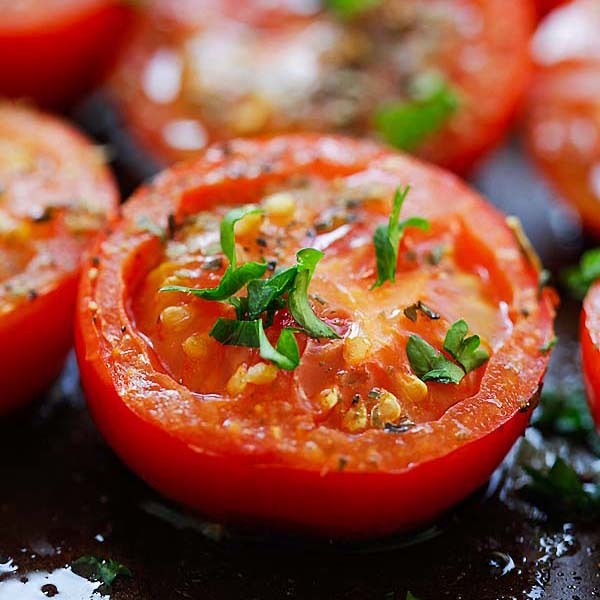 You can make this recipe in a slow cooker if you don’t have an Instant Pot. Saute the chicken on a skillet on stove top, then transfer everything to the slow cooker and cook on high heat for 3 hours. I love serving this creamy garlic mushroom chicken with rice or plain spaghetti/pasta. 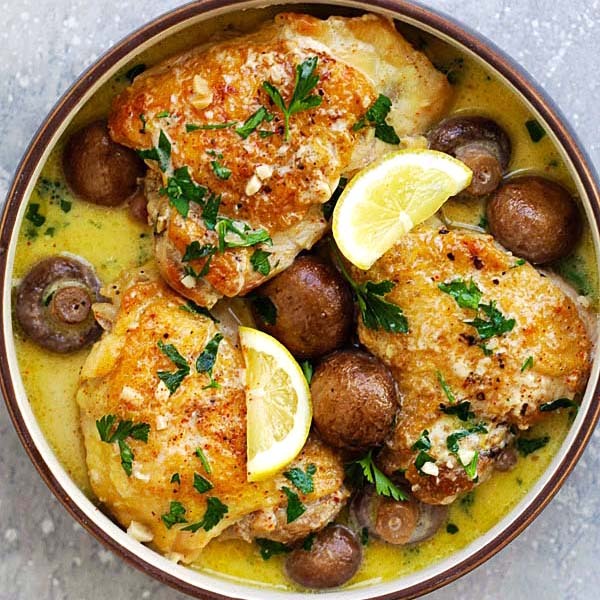 Just ladle the chicken, mushroom and the creamy sauce over and you will have a perfect and delicious meal for the entire family. You can also serve the chicken with any side dishes you desire. 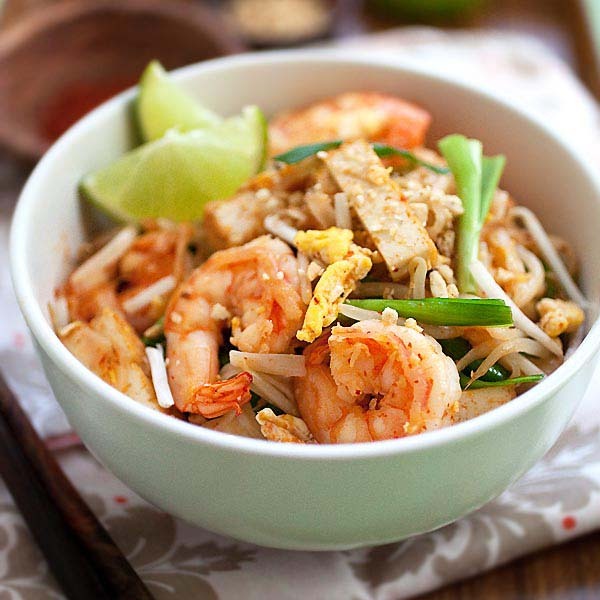 This recipe is tried and tested and even the pickiest eaters would approve. Instant Pot Butter Chicken – Better than Indian Buffet. 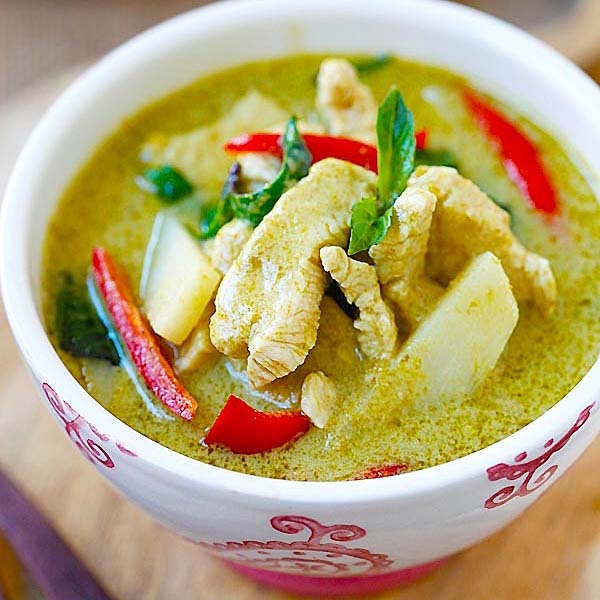 Instant Pot Creamy Thai Coconut Chicken Soup – Better than Thai Restaurants! All photos and recipes on Rasa Malaysia are copyright protected. Please do not use the photos and recipes without prior written permission. If you wish to republish this recipe, please rewrite the recipe in your own words instead of copy and paste and link back to //rasamalaysia.com/creamy-garlic-mushroom-chicken-instant-pot/. Thank you very much! Can you substitute coconut cream for the whipping cream? Thanks! You can but it’s going to be Asian flavor though. Creamy Garlic Mushroom Chicken was delicious , cooked in InstantPot, but the cream did separate. Hi Patsy, you may add your cream after pressure cooking. Please check the Cook’s Note. It didn’t separate for me, as you can see in my pictures. It looks like mine is curdled. Is it still safe to eat? I used light cream since it was all I had. Yes curdle is fine. You can try to add the light cream after it’s pressure cooked next time. This looks really delicious! I’m not that into mushrooms, but I’m willing to give this recipe a chance! This looks amazing, love garlic and i really like the idea of mixing this chicken with pasta. Gonna try this recipe this weekend, thanks a lot! This looks so delicious sharing this to my social media. This was delicious! Followed the recipe exactly. This will definitely be a staple in my house! Hi Iris, thanks for trying this creamy garlic mushroom chicken recipe. I think so, what other milk/cream are you talking about? Yes I think you can. Just reduce the sauce with Saute mode after pressure cooking! I just loved this recipe. It was the first time I sautéed anything In the pressure cooker. I put mine on 15 min cook time as that was the first meat setting on my power pressure cooker. Added half lemon juice and chickpea flour this tasted restaurant quality. Because I like a lot of seasoning and spicy I marinade the chicken in lemon juice and jerk seasoning. My sauce didn’t curdle when I added the lemon juice. Yummy. Hi Kia, thanks for your comment, I am so happy that you loved my creamy garlic mushroom chicken recipe! I made this last night. I thought it was very good! How could you make the sauce creamier? I also could not find the cremini mushrooms at our local grocery store unfortunately and had to use white sliced ones…not the same. Hi Jennifer, cremini mushrooms are basically the brown color mushrooms, I prefer them over white ones. To make the sauce creamier, you can use heavy whipping cream. I used whipping cream which is lighter. Also, you can reduce the sauce a bit on Saute mode so it’s creamier. Yes you can. Try 15 minutes. I absolutely loved this recipe! So often I make something that gets great reviews but I am disappointed but this was excellent! The only change I would make is to add a lot more mushrooms just because we love them so much. Thank you for a wonderful dinner!!! 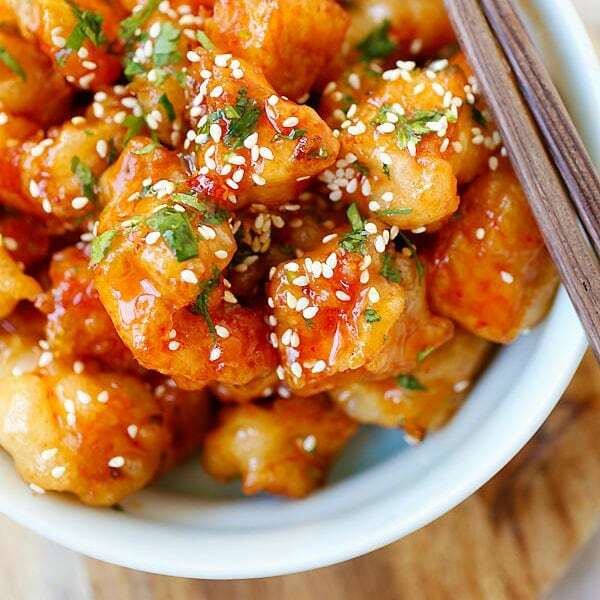 Can I make this with boneless skinless chicken breast and double the recipe? If so, how would I go about doing it? Thanks! This recipe was outstanding! Absolutely loved it! However, would like a suggestion on how to thicken the sauce. We used heavy whipping cream and used the saute mode at the end but the sauce didn’t seem to thicken and I didn’t want to overcook the chicken. Oh, and we would double the amount of mushrooms! ? ? Hi Joanne, you can reduce the chicken broth a little bit if you want to reduce the sauce. I am so happy that you love my creamy garlic mushroom chicken. Sounds like a perfect recipe for busy weekdays! Thanks for sharing all the Instant Pot recipes. :) Will it be fine to keep it on “Keep Warm” mode for a couple of hours before serving? I think so, but I haven’t used the Keep Warm mode. I love my instant pot! Creamy garlic anything is fantastic! Can’t wait to try this! 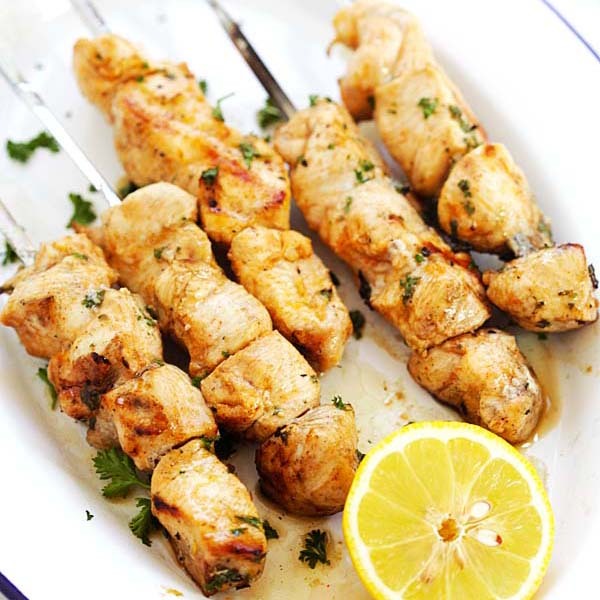 Did you use bone in chicken thighs or boneless? What a wonderful recipe. Thanks !!!!! I have made it twice. Once with dairy cream and once with unsweetened cashew milk. After cooking, I thickened the cashew milk ‘cream sauce’ with 2 teaspoons of arrowroot starch (could also use potato or tapioca starch or 1 ½ teaspoons of cornstarch) in 3-4 tablespoons of water. Add the starch to the water and mix well to dissolve. Add this to the pot that contains just the sauce. Stir to blend and thicken. You can add the chicken back to the pot to simmer a little, if you would like to. This would probably work well too with unsweetened almond milk. Not sure if the flavours of coconut or soy milk would work with this dish. Both the dairy and non-dairy versions were excellent. Again, thans for this luscious recipe. 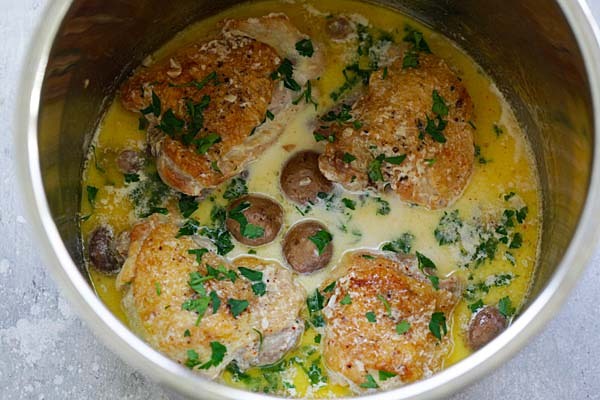 Hi Rosemary, thanks for trying this creamy garlic mushroom chicken recipe and thanks for your comment. This was fabulous! I took off the skin before I browned, I just didn’t want the fat. To avoid the lemon juice from curdling the cream, I added the lemon juice not the cream to the pot while it cooked. Once it was done, I stirred in the cream and thickened it with a little cornstarch. Thank you so much for posting! Yes, you can. Use saute mode to reduce the sauce. I really enjoyed your Creamy Garlic Chicken better, so I just added mushrooms to that recipe and it was delicious. Thanks Bee! What adjustments (if any) would need to be made in an 8 quart Instant Pot for this and your other chicken recipes? Hi Bee! I have made this twice now and I LOVE this recipe! 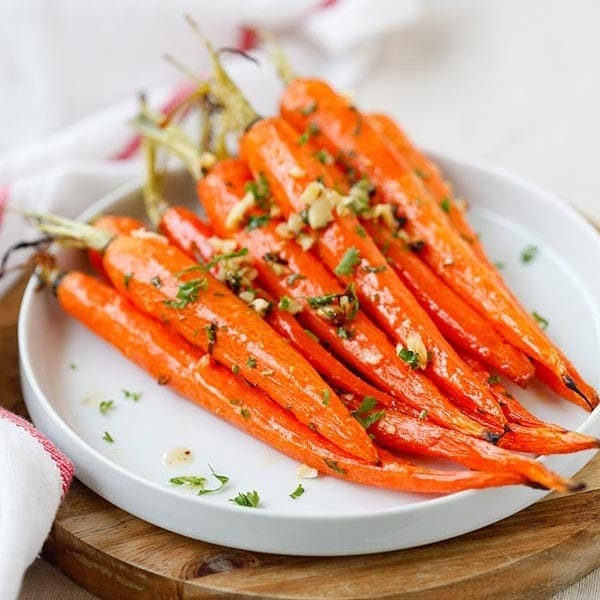 It’s so easy and so flavorful! I used boneless, skinless thighs but cooked for the same time and they just fell apart. This week I had an extra mouth to feed so I doubled it, so easy. We love it over white rice. Thanks for a great recipe. 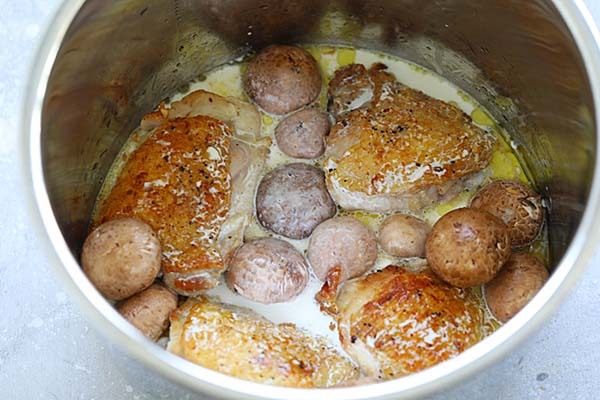 Thanks Jen for trying this creamy garlic mushroom chicken!